As an establishment, XYZ and it's restaurant is posh in our island city. Very genial modern interior, with contemporary fixtures, lighting, design details and so on. As far as the restaurant, by now I have well established that almost all eateries have menus across the board though this is understandable for the place because the patrons are also far-reaching. 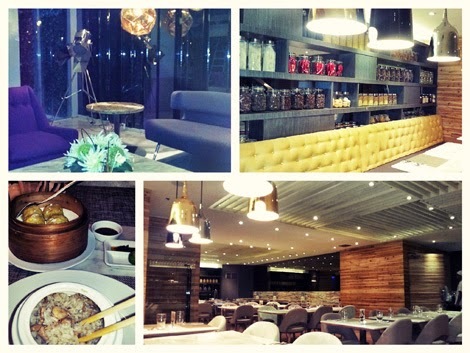 XYZ resto's dishes are from Filipino, Dim sum, Thai, American and even pastas are served up here. This restaurant both caters to the hotel guests and any sojourner who wants to sample their cuisine(s); I will say that based on the dim sum I ordered, food quality and preparation are tops. The dining atmosphere is luxurious as I mentioned and the staff is courteous and professional when facing a client. This hotel and restaurant does augment Tacloban particularly in the areas of tourism, business, hotel and cuisine.